Congratulations to Saadhya Bahudodda, Thursday’s winner in our Countdown to the Holidays celebration. Many holiday greetings from across the globe can now be found on a poster in the store. Thanks to all who participated! 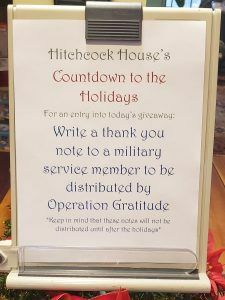 For Friday’s holiday activity we’re writing thank you notes to military service members to be distributed by Operation Gratitude as part of their care packages for active duty military personnel. Note cards provided courtesy of the Student Life Office. 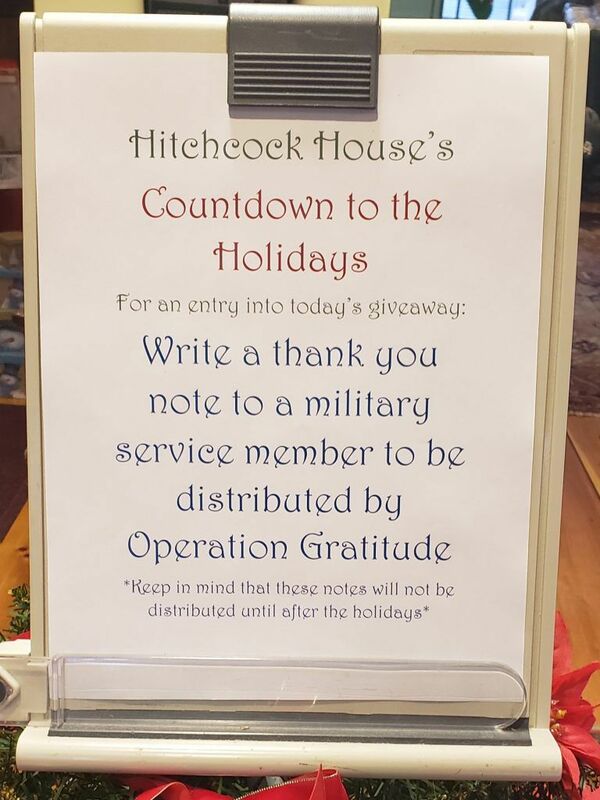 Stop by to write a thank you note to be entered in today’s daily drawing. Fantastic prizes totaling nearly $1500 have been donated by our vendor partners this year. Don’t miss out. All community members, young and old, are welcome to participate. Hitchcock is open from 8:00-4:30 today. Seeking Stage Manager! Co-curricular Leadership Opportunity!